Stories of kings and queens, adventurous explorers commissioned to traveling the high seas, scouting out new or distant lands, exotic places, these were among my most favorite social studies lessons in grade school, and inspiring enough intrigue that I’m fairly certain I read every explorer book available at the library during the time. These were not books merely about historical dates and history, they were stories of drama, power, wealth, even war, trade routes whose often treacherous journeys merged people together from different points around the globe, exchanging premium goods, sharing knowledge, and most frequently at the heart, seeking the richest of treasures, spices. Over the years my fascination with spices has heightened in delight of their culinary uses and the many diverse combinations that enhance the depth and flavor of foods, even a simple dish like today’s Spiced Tilapia on Roti. It is an interesting contrast, however, having once been absorbed in the journeys of trade and explorer books, those whose pages lived stories and tales of dangerous risks seeking travel routes for spice, to today, where we so easily access these very same spices within a mere reach of a box, rack, or cabinet shelf. What’s more, I even have dear friends from a precise place among those traveled lands once considered foreign, exotic, distant places on the earth, Kerala, India, a place which continues among the most famous of places for its treasured, premium spices. For somewhere around a few millennia Kerala has always been one of those unique regions in the world for sourcing the specifically cherished and highly sought after spices, including native black pepper, along with cardamom, turmeric, ginger, and cinnamon. Today, there exists different dangers from the former ancient trade routes. In 2001 the spice route journey of treachery acknowledged by the people along the eastern half of Kerala, in the district of Wayanad, were those causing human and environmental health issues through the continued use of chemical pesticides. The newest symbolic explorers en route then became the spice farmers of Wayanad restoring the region through returning to organic farming practices while continuously stretching the growth of the organic certified farmland. Restored spice growing practices of earlier times also provided for a new sort of modern symbolic traders, those such as Madhan and Satha, who having been frustrated in the accessibility of affordable organic spices were inspired to provide just that to the marketplace, affordable organic spices, creating their own business: the Spice Monger which collaboratively supports the Wayanad economy through Fair Trade among the organic spice farmers cooperative. Providing a range of organic spices in their ‘purest and most elemental form’ is part of the mission at Spice Monger who prepares the small batch organic spices using a steam sterilization process that does not involve any harmful chemicals and whose packaging style seals the spices from air and light maintaining the purity of the spices in scent, color, and flavor. 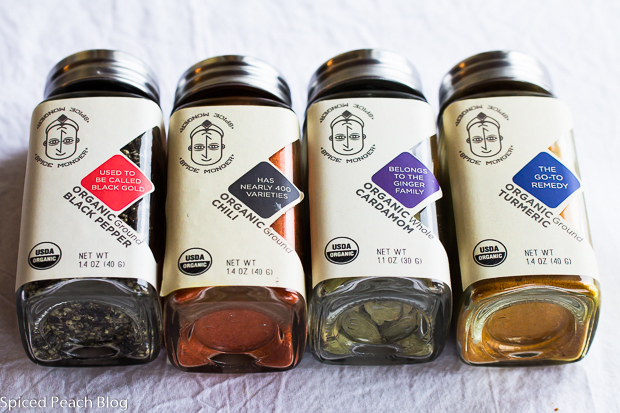 I received a selection of organic spices from Spice Monger to try out, and used four of these for the Spiced Tilapia on Roti: ground black pepper, ground chili, cardamom, and turmeric which was quick, easy, and delish in flavor. All opinions expressed are my own. 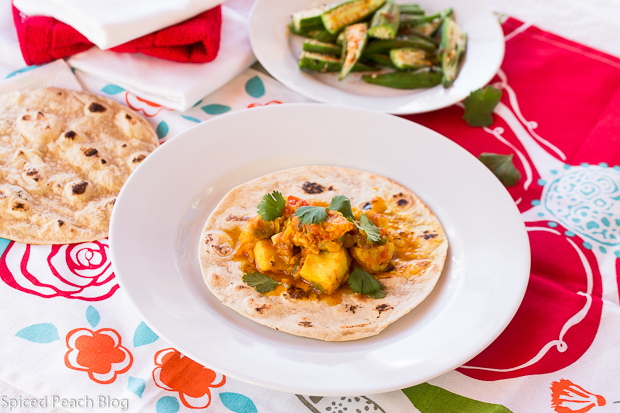 I’ve enough to share and am enthusiastic for you to try them out so if you live nearby and would like to prepare the Spiced Tilapia on Roti, or another dish of your own, using the spices you can email me or shout out in the comments section. Remembered stories of explorers, adventurers, journeys seeking trade routes, new lands, old lands, a spice trade in places foreign and exotic, to today, the continued farming and distribution of premium goods, the treasures of spice. From the Wayanad District of Kerala, India, with a determined return to the organic farming methods of past, perhaps, just perhaps, their organic journey will someday provide more adventurous stories in a chapter with enough intrigue for a grade school student to value reading even more, and learning with appreciation the exciting promise of their efforts. Warm large skillet with canola oil, tumble in onions and cook on the lowest heat for ten minutes, stirring occasionally. Drop in the chopped hot pepper, cook another two minutes, then add the garlic and ginger continuing to heat another few minutes. Sprinkle in whole cardamom seeds, chili powder, turmeric, black pepper, and salt, stir well throughout heating mixture for two minutes before placing in the cubes of tilapia and gently blending the fish with the sauce ingredients, heat through for a couple of minutes before adding in the tomatoes and juices along with the hot water, stir, increase heat temperature to low heat, place lid onto skillet and cook around twelve to fifteen minutes until tilapia is cooked through but not overdone, fish should maintain its cubed shape. While fish is cooking heat a cast iron griddle or pan until nearly smoking, one at a time place roti onto the grill cooking about 30 seconds each side before turning over then placing into aluminum foil to keep warm. 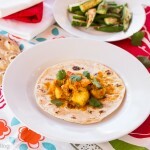 Spoon spiced tilapia onto the center of each roti, garnish with fresh cilantro. This entry was posted in Artisans- Farms -Markets-Chefs- Journeys, Foods Around the World and tagged #Suitcase of Spices, Indian Inspired Spiced Tilapia, Organic spice farming in Wayanad Kerala India, Spice Monger, Spice Monger #Suitcase of Spices, Spiced Tilapia on Roti, Tilapia, Wayanad District in Kerala India. Bookmark the permalink. Post a comment or leave a trackback: Trackback URL. Hi Peggy, I love everything thing about this dish, the fish, the spices and the roti, it’s perfect. Hi Cheri, thanks so much, appreciated. 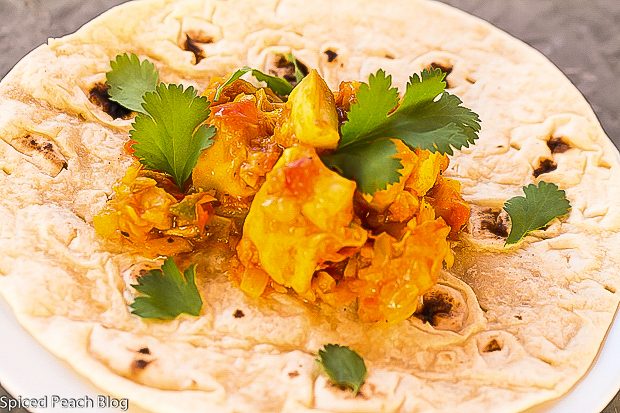 The dish is delicious and along with the roti making it a perfect meal. I love all things Indian, and this looks fabulous! The photography, as usual, is beautiful! Hi Kelly, Thanks so much, sounds as if you enjoy Indian food as much as I. Mostly I have dear friends from different regions in India that have introduced me to these fabulous flavors especially developed through the spice combinations. I can mail you a few samples of the spice if you like, you can email me. 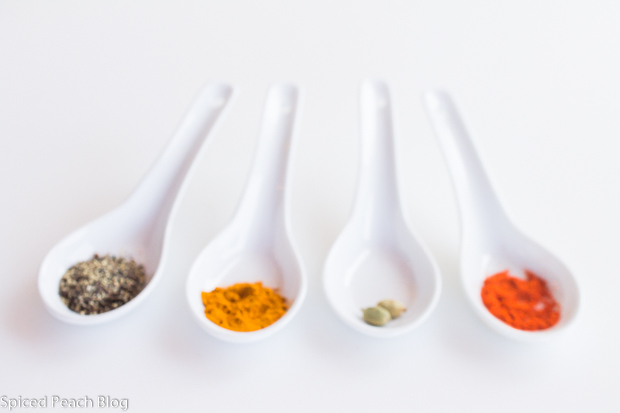 Spices with complex flavors, Indian cooking is fascinating. And your pictures with cheerful colors makes it even better. Thank you for sharing, Peggy. Hello Jolma! Thank you much! Hope all is well at Beyond Her Kitchen. 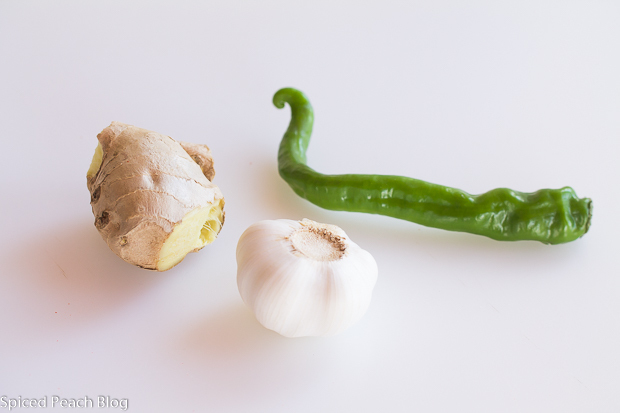 I love the complex flavors and dimensions of spices in Indian foods too, with always so much more to explore and learn. The colors are so mice and bright too. Peggy, I would like to try the spices and make this dish. I’ve never made anything with these type spices but am willing to give it a try. Hello Meredith, such exciting news! I’m delighted you would like to give the spices a try. I will leave them in your mailbox Monday morning. 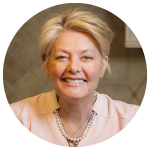 Let me know how you enjoy the dish, happy cooking!